Very compact and super-efficient universal 600 mA plug-in adapter with 3-12 V output and LED indicator. The 6 exchangeable power tips make this adapter very suitable for many devices. 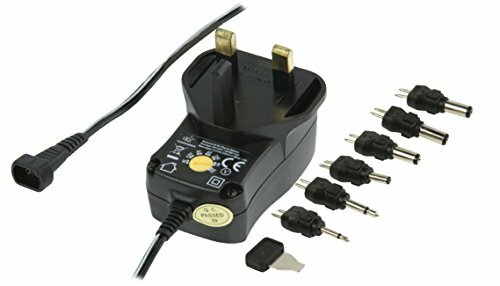 This adapter has an UK plug and cable length is 1.8m. Package Contents: Adapter, 6 interchangeable connectors and manual. CE & RHOS Approved/.